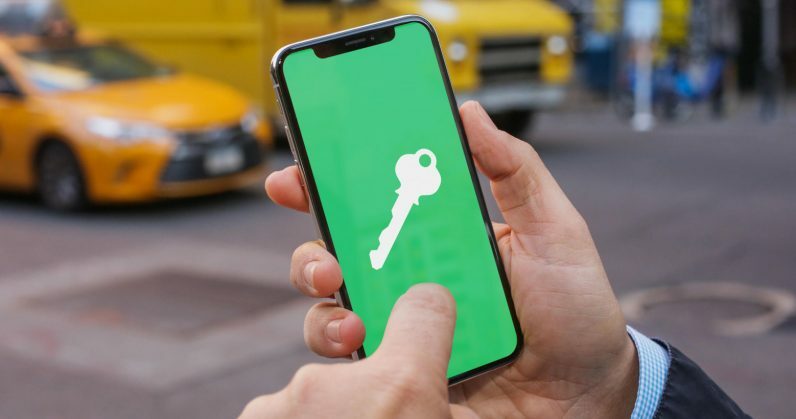 The Information reports that Apple is set to upgrade iPhones that are equipped with NFC chips with the ability to unlock doors, hotel rooms, and cars. The NFC (near-field communication) chip, present in the iPhone 6 and up, allows for contactless information exchanges, and makes it possible to use Apple Pay to pay for purchases at stores by holding your phone close to a supported credit card reader. Apple is expanding its capabilities so it can interact with smart locks, building security systems, vehicles, and even mass transit payment facilities. The company already has employees using their iPhones to unlock doors at its new Cupertino campus. While some smart locks already work with Bluetooth, NFC is more secure because it stores sensitive data on a chip that isolates its contents from the operating system. As 9to5Mac notes, Apple began working on allowing for increased functionality with its NFC chip by including the rudimentary CoreNFC framework in iOS 11. However, it only allows for scanning RFID tags at present. If The Information’s report is accurate, the company is most likely opening up its APIs to allow third-party apps to take advantage of the chip. It could also see the iPhone being used to pay for subway rides by emulating transit cards. That should give Apple a chance to catch up to Android phone makers on the contactless solutions front; devices from Samsung and Google can already access secured buildings and rooms using NFC. But more importantly, it might spur IoT hardware makers to support NFC authentication for their connected gadgets more widely in the future. Expect to hear more at Apple’s upcoming WWDC event starting June 4.